Ten inches of floss is not enough! The recommended length of floss to be used in single flossing is 18 inches according to the American Dental Association. The reason behind is that a small piece of floss is bundled around on the middle finger of both hands. Moving from tooth to another requires the used floss to be rolled up while unrolling the clean piece of dental floss. If flossing is correctly done, a 10-inch floss surely is not enough. Cheese and red meat worsen the bad breath! The cheese and red meat contain proteins which can cause temporary bad breath. To counter the problem, the solution is to brush the teeth and the tongue as well. Dead cells are deposited in the tongue, and when they break out, it will cause a bad smell. Amount of saliva in the mouth matters! 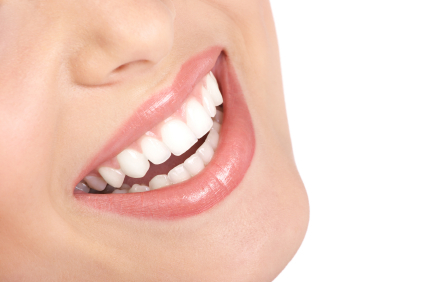 Saliva acts as a natural cleanser of the mouth and washes off bacteria in the teeth. Reduced saliva flow in the mouth will not help in cleaning and the washing of the leftover from food particles in the mouth and in between oral structures. Poor salivation and lower amount of saliva lead to bacteria overgrowth which produces unpleasant foul breath. Dental prostheses cause bad breath! Prostheses such as dentures or bridges are fake teeth attached to the natural oral structure and can host food and bacteria which are the primary cause of bad breath. Halitosis affects all age groups and gender! Even though halitosis affects all ages, acquiring halitosis increases as we age. It does not spare any gender as well. Male or female, both may suffer from halitosis, but according to studies, more men are likely to have chronic bad breath than women. A specific type of diet can cause bad breath! The Ketogenic Diet and the Atkins diet are a low-carb diet which causes excessive ketone production and can result in bad breath problems. However, it can be reversed and corrected by stopping the diet, turn into a healthy lifestyle, or drinking enough water. Covering up bad breath does not work! People often opt to cover their bad breath by using mouthwashes or chewing gum. Though these can overpower the odor, it does not cure bad breath or the smell. To eliminate bad breath, it is necessary to clean the mouth and re-establish the natural balance of saliva flow. It is recommended to brush and floss daily to clear out food particles and prevent the development of plaque and to prevent dental treatments. Halitosis treatment, together with good and proper oral hygiene, is essential to maintain and achieve a long-lasting fresh breath. If you want to own a fresher, healthier smile, then Rock Point Family Dentistry is here for you. Check out our Halitosis Treatment in Cedar Park and contact us to book your appointment.